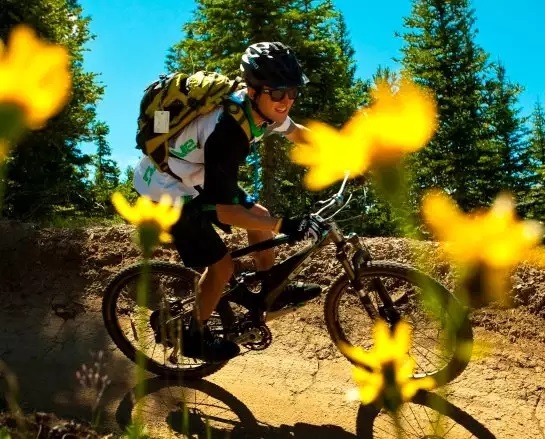 Mountain biking is one of the fun activities that any adventurous soul can do in Branson as it gives every rider the opportunity to enjoy the beauty of nature. If you want to spend a nice mountain biking activity, try to learn some safety tips and facts before stepping on your pedal as they can help you enjoy and explore fascinating Branson outdoors. Some of the things to remember before hitting the trail are to wear the right shoes, biking shorts and shirts, sunglasses, bottled water, and an excellent condition of your bike. As mountain biking is considered an extreme sport, you have to make sure that you’re all geared up before hitting the trail. Use elbow pads and knee pads to help prevent bumps, bruises and scrapes for that unpredictable incident. Don’t ride your bike without wearing a helmet. It might be hot and itchy on the straps but helmet is the second most important thing to protect you whilst you’re riding your bike. Try to know more about the areas of the trail that you will travel such as when it’s treacherous or has a rugged terrain. If you don’t feel comfortable in continuing your ride, get off and walk your bike to safer ground. There’s nothing embarrassing when you just want to avoid unnecessary risk. You always have the chance to find another trail to enjoy a wonderful mountain biking experience. Before you start to pedal around any hills, go a slow and leisurely ride to scope out what’s along the trail. Should you see a section that looks challenging, stop and see what’s ahead. Be aware always of blind corners. If you think biking over an obstacle or performing stunts is a bad idea, you’re probably right. Just trust on your instincts, be precautious and work your way up to difficult riding situations. Before pushing yourself on riding your mountain bike, make sure you are fit to do such activity. Try to take a ride around the neighborhood for an hour or two, if you ache a bit the next day – it’s normal. But if you are unable to ride for the next three days because the pain you felt still lingers, wait until you become fit. The consequences of trying to ‘continue’ your desire to bike can be severe if you are not in a good health condition. Always make sure that your bike is properly maintained, so you can enjoy a safer ride on the trails. To make sure that everything is running as it should be. Firstly, you don’t need to know a comprehensive maintenance guide for your bike, just try to learn a few pointers to help you keep out of trouble. If you see something is wrong with your bike and you aren’t sure how to repair it, then take it to your local bike shop. So, if you what to enjoy a comfortable mountain biking activity, try to learn some safety tips and facts before exploring Branson outdoors with your mountain bike.